Flutist II, a photo by The Bacher Family on Flickr. "Would you like me to pose with my flute?" A good photographer never turns down such an offer! Of course, if you want a picture with your flute, I'll photograph you with your flute, and a big proud grin on your face! 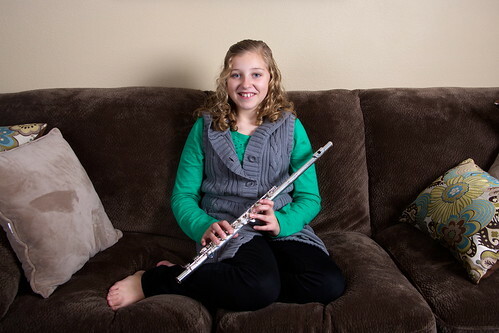 Meet Katie, 6th grade flutist.